Melt the butter in a medium saucepan over medium heat. Add the wild rice and cook for a 1-2 minutes, stirring frequently. Add the chicken broth (3½ cups) to the saucepan, stir. Raise the heat to high and bring the liquid to a boil. Once the broth comes to a boil, lower the heat to medium-low to low; cover and cook the wild rice simmering gently for 15 minutes. Note: Keep the liquid at a simmer, if it’s not simmering raise the heat a bit. Add the white rice to the saucepan and give it a quick stir. Raise the heat to high, bring the broth to a simmer again, lower the heat to medium-low, cover and cook for approximately 20 minutes without stirring. Check the rice, give it a quick stir, taste a few grains to determine if it’s done. If it’s not, lower the heat a bit and continue cooking for another 5 minutes or so. If it is done, lower the heat to low and keep warm until the soup is ready. Place the chicken in a medium saucepan, large enough so that they fit side by side without overlapping. Cover the chicken with chicken broth (about 2 cups). Add the thyme and a pinch of salt. Start the chicken on high heat; bring the broth to a boil. As soon as it starts boiling, lower the heat to medium-low and cover. Simmer gently for 20-25 minutes. Make sure the internal temperature of the thickest part of the chicken breast is at least 165°F. Remove the chicken breast from poaching liquid and set on a cutting board to cool. Strain the cooking liquid using a fine sieve and set aside. When the chicken has cooled enough to handle, shred, slice or cut into bite-sized pieces. Don’t discard the chicken broth after poaching the chicken, use it for the soup. That’s some concentrated chicken broth goodness you have there! In a large pot, heat 3 tbsp. of butter over medium heat. 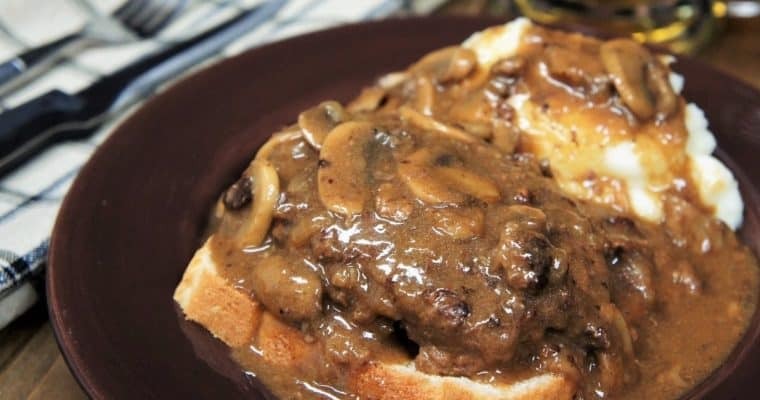 When the butter has melted and starts to foam, add the onions. Cook the onions gently for 3-5 minutes until they become translucent and start to soften, stirring frequently. Add the garlic to the pot, cook for 1 minute, stirring frequently. Add in the remaining 3 tbsp. of butter. When the butter melts, stir in the flour a little at a time, stirring constantly until well incorporated. Cook the roux (butter and flour mixture) for 2 minutes to cook the flour a bit, stirring almost constantly. Slowly add in the remaining 6 cups of chicken broth and the reserved broth used to poach the chicken. Stir the soup constantly until the chicken broth is well incorporated. Raise the heat to medium-high and bring the soup to a gentle simmer. 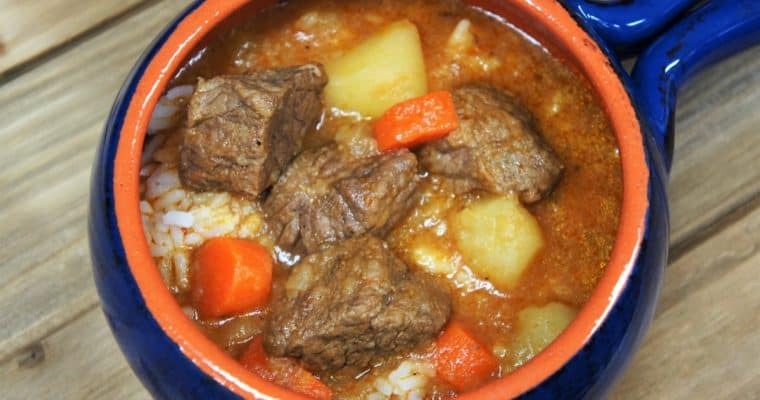 Lower the heat to medium-low, half-cover the pot and continue simmering for approximately 20 minutes, stirring occasionally. Note: Keep the soup at a simmer; if it starts boiling too vigorously lower the heat a bit. Remove the pot from the heat. Process the soup in the pot with an immersion blender until smooth. If you do not have an immersion blender, use a blender. Don’t fill the blender to the top with hot liquid, process in batches. Return the soup to medium-high and bring to a simmer. Add the shredded carrots to the pot. Lower the heat to medium-low and half-cover the pot. Cook the soup, simmering for 5 minutes. Take the pot off the heat, stir in the Half & Half. Then and add the reserved chicken, and the rice, stir well. Note: Use as much or as little rice as desired; we used all of it in the soup, but it’s a matter of taste. Heat the soup on low for a few minutes until warmed through, do not allow it to come to a boil. 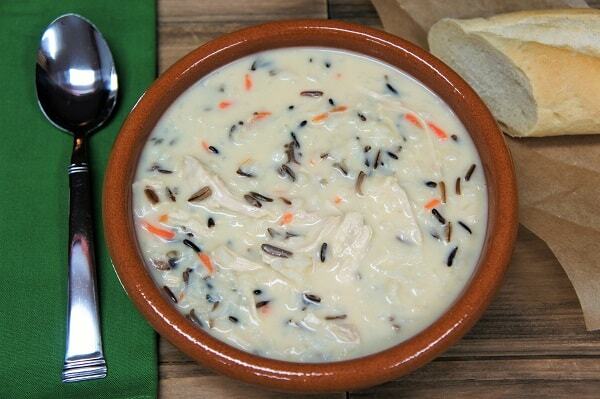 Taste the creamy chicken & wild rice soup and add salt, only if needed.